Gilberto Pérez Jr., Goshen College dean of students, announced his bid recently for Goshen City Council. He is seeking the Democratic nomination for District 5, which includes Goshen College, in the May 7 primary election. Pérez has been a Goshen resident since 2001. He joined Goshen College as an associate professor of social work in 2012. In 2014, Pérez served as senior director of intercultural development and educational partnerships through Goshen College’s Center for Intercultural and International Education (CIIE) until he was appointed dean of students in July 2017. Pérez is also a member of President Rebecca Stoltzfus’ cabinet. Pérez stated that his decisions to run for City Council came down to three factors. The first is to become involved at a deeper level with the city after previously being involved in community projects such as the Goshen City Plan Commission and Elkhart County Community Correction. 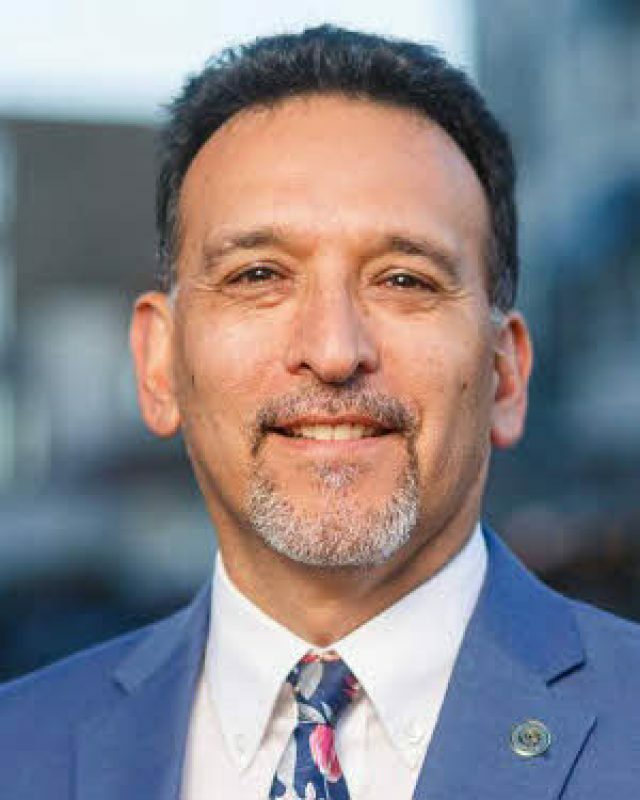 The second reason is Pérez’s passion regarding community issues and the third is his desire to express the concerns of the residents of District 5. Pérez explained that the decision to run for Goshen City Council is one that had been in his mind for the a few years. After conversations with outgoing Councilman Adam Scharf and Goshen Mayor Jeremy Stutzman, Pérez contemplated the decision over Christmas break and he confirmed his decision to run in early January. “There had been sort of a three year process of being engaged in community activities, speaking to different people along the way and I think just realizing ‘okay, let’s do that,’” said Pérez. In terms of his future at Goshen College, Pérez intends to continue as the dean of students regardless of the election outcome. If Pérez were to gain a seat on the City Council, he would be joining his son Félix Pérez Diener who currently serves as the Goshen Youth Advisor. Pérez noted his excitement to reach the Latino population, build bridges with different communities and engage college students. He explained how college students can register to vote even if they’re from another community since they can register Goshen as their residence. “You’re here for four years. You’re a resident. You’re making this your home,” he said. Pérez spoke of the ideas, innovation and energy that college students bring which can help to make Goshen a better city.